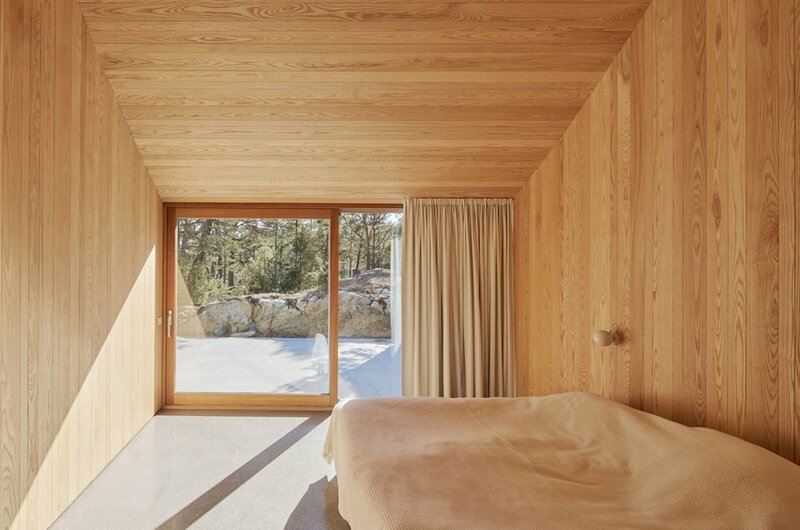 Swedish architecture studio Tham & Videgard Arkitekter, has recently realized a summer house quite out of the ordinary. 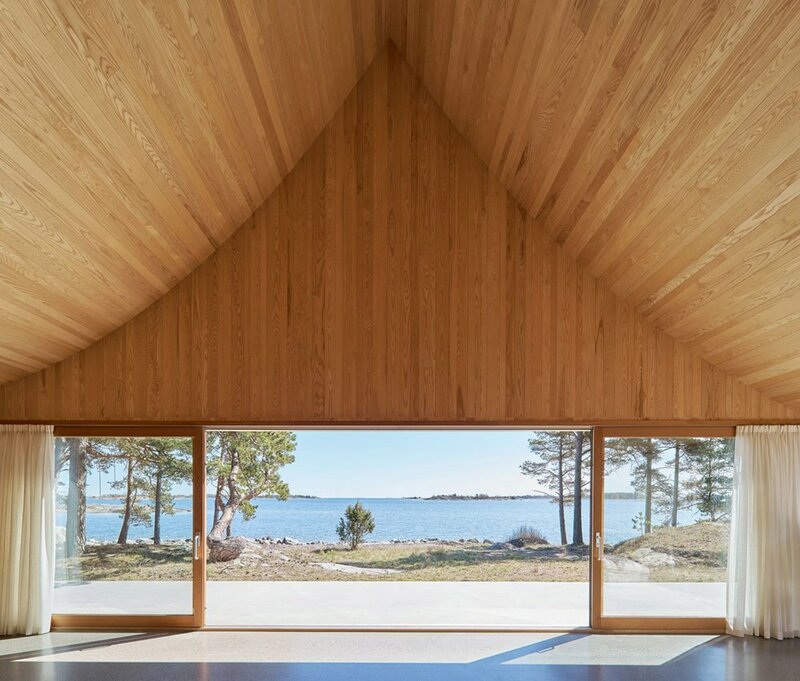 Located on Krokholmen, a small island in the Stockholm’s outer archipelago, the wooden house stands out with a remarkable tent like silhouette, elegantly suitable for its natural, and at times, windy and harsh surroundings. The tent like shape and profile sets a verticality, not only on the external form, but also in the interior spaces. To further take advantage of, and underline, its beautiful location on the intersection between the woods and the open sea, the house is designed with large openings connecting the interior with three terraces. One of these openings presents a direct and stunning view of the sea, where windows with slide-opening enables a seamless transition onto the terrace. Aiming for a single-storey house with a series of private and communal spaces, Tham & Videgard Arkitekter separated the open-plan living room — consisting of a kitchen and living room area — with the bathroom and bedrooms with a dividing wall. Apart form the sink-clad roof—which reaches an impressive height of six meters at its apex — and steel girder above the main facade, the structure is made entirely out of timber.